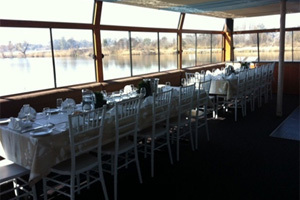 Are you looking for fun teambuilding venues and activities in the Vaal Triangle? 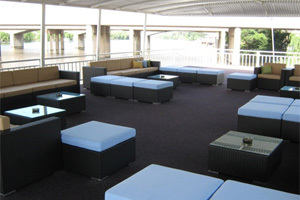 Then the Liquid Lounge is the venue for you! In a world where a company’s attention and focus is mainly on making their clients happy, business owners and management often forget about their most important asset, the employees. Teambuilding plays an essential role in the workplace, which is aimed at uplifting employee morale, which in turn, will increase motivation and productivity. 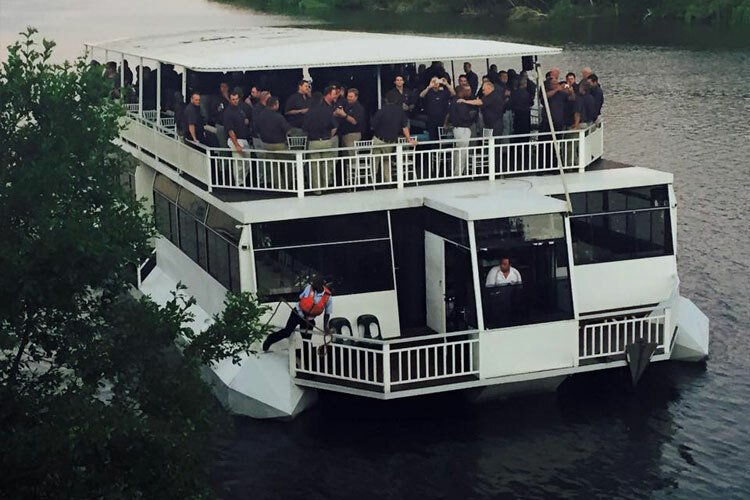 If you are looking for a teambuilding venue and teambuilding activities in the Vaal Triangle that are a little out of the ordinary and that your employees will enjoy, contact the Liquid Lounge today. Read more below about the benefits of teambuilding for your employees and business. Motivation and productivity: Teambuilding events contribute to employees feeling valued by the management and company, which can have a great impact on employee motivation and productivity. A teambuilding event creates an effective and relaxed environment for employees to take part in activities. Employees will feel more comfortable to express ideas and opinions, motivating them to give input. Communication: Many of the teambuilding activities revolve around effective communication on order to get the task done. This is purposefully done so that employees need to communicate effectively to complete the task at hand. Efficient communication is a very important factor contributing to a company’s success, which is often overlooked. Many teambuilding activities aim to teach more effective communication skills, so that this can be carried over to the workplace. Trust: There is often a gap between the leaders and employees of a company. Team building exercises give management the opportunity to be seen as a colleagues rather than a boss, which can have a great impact on employee morale. Team building activities and exercises will encourage teamwork between team leaders and employees, which helps to build a better relationship between them. 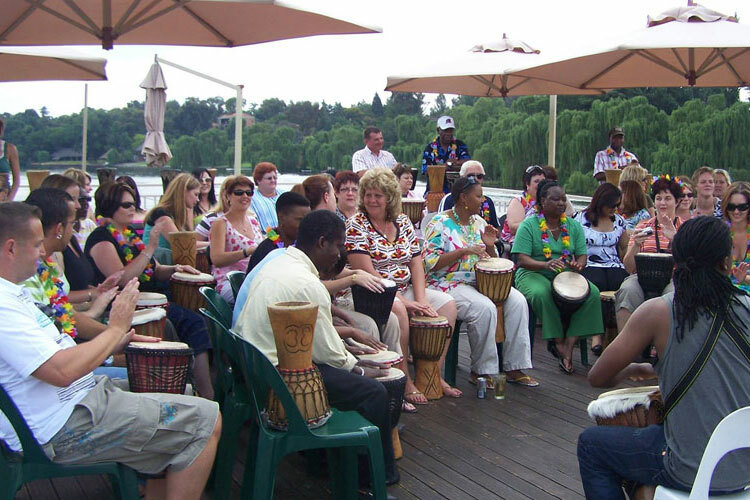 Problem-solving: Strategic thinking is a main focus of many of your teambuilding activities in the Vaal Triangle. Problems and situations often arise in the business environment that require some strategising and problem-solving. Teambuilding activities will teach employees to work together to get the best outcome. Creativity: Many employees never get the chance to be creative in their working environment. 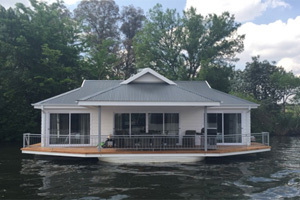 Teambuilding activities that require some creative thinking can help develop their creativity, which could also be carried over to the workplace. increasing employee morale. 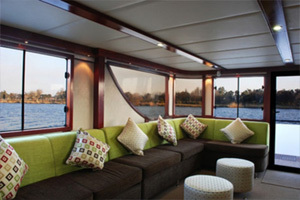 The Liquid Lounge offers more than just our regular team building venue. 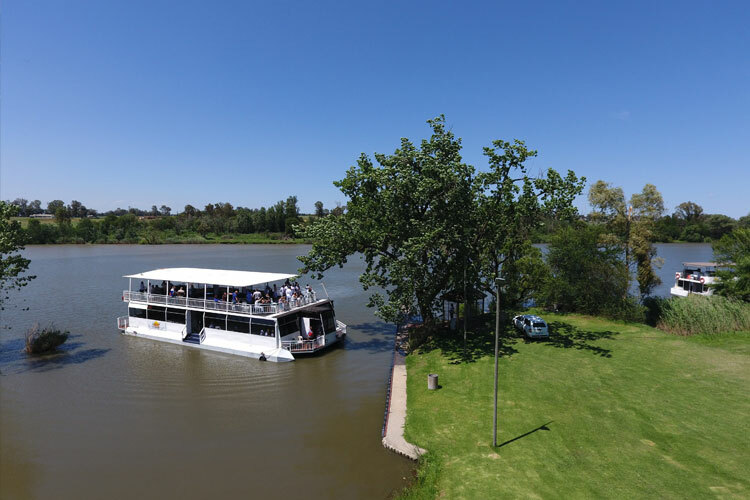 Excellent facilities, spectacular catering and the fact that you will enjoy a unique Vaal River cruise during your event, makes the Liquid Lounge an excellent choice of team building venues in the Vaal Triangle. Talk to our team at Liquid Lounge today to see what we can offer in terms of teambuilding.